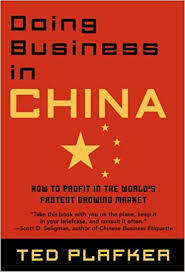 Business in China research papers ask if China is a solid financial investment for business. Business in China research papers show that China’s potential is especially alluring to business people worldwide submerged in the throes of the current global recession. Its continued aggressive growth path even in the face of this recession has been impressive, yet much of it comes from direct foreign investment. For example, FedEx is working to double the number of Chinese cities it serves from 150 to 300 over the next five years. Yet events such as last April’s collision between a Chinese fighter plane and an American spy plane – and the ensuing verbal war, the worst on record since the days of the Cold War – serve to remind the business community of how fragile the Chinese market remains. David Shambaugh, author of the recently published “Is China Unstable?” claims that “China today is more unstable than at any time since the height of the Cultural Revolution”. China has pursued reform, this has led to the creation of a sometimes unstable business infrastructure as old bureaucrats became overnight millionaires through windfall gains. Over the years, this unstable infrastructure has sometimes caused Beijing to backtrack and retighten economic controls. Finally, and perhaps paradoxically, the very size of the Chinese market presents a threat as well as an opportunity; for one, imagine if you will the environmental impact of a nation five times the size of the United States emulating American consumption standards? Maybe that’s unlikely – but small shifts in Chinese demand for such imports as imported grains have already sent global prices into tailspins. Undoubtedly, China provides an immense business opportunity, but one that must be approached with much planning and proper caution. China's Accession to the World Trade Organization - discusses a sample of how to order a project for a master's business level class. Globalization - are custom written to your exact specifications. Country Analysis of China Research Papers - Beginning with the ascendants of Deng Xiaoping to power in 1978, economic reforms have been bringing business in China closer and closer to the world as we know it. China and the World Trade Organization research papers show that China is and has been seeking entry into the World Trade Organization for the past several years. China's Cultural Revolution research papers overview the efforts of Mao Zedong's leadership to bring China into the 20th Century. Republican Revolution in China research papers overview the revolution of 1911. China's Environmental Policy Research Papers help outline the current environmental policy of China in relation to political science and economic issues . Chinese Nationalism research papers discuss how nationalism has been a part of China's foreign policy since the 1950s. Paper Masters writes custom research papers on Business in China and ask if China is a solid financial investment for business.